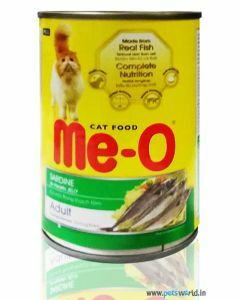 You little kitty friends need the best food to keep their guts in perfect condition and also to provide their pallets with great taste. 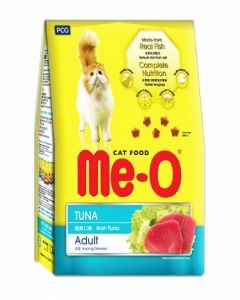 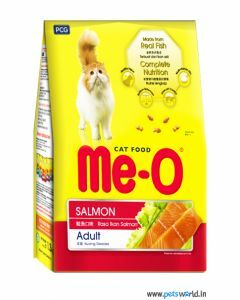 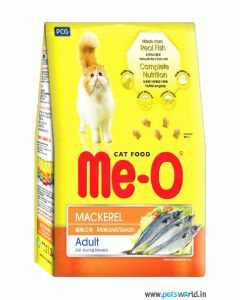 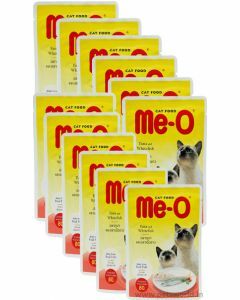 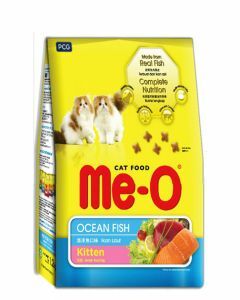 We, at Pets World, offer you with the best brand available for cat food worldwide- Me-O. 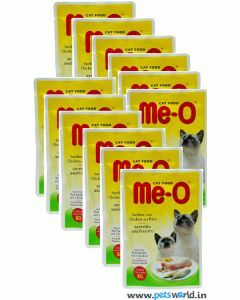 Me-O cat food is nutritionally balanced according to the needs of your feline friend. 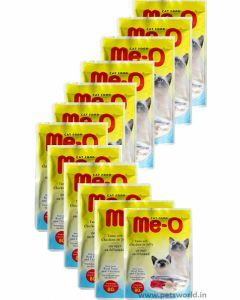 Me-O’s cat food assortment is designed according to the specific growth stage of the cat i.e. 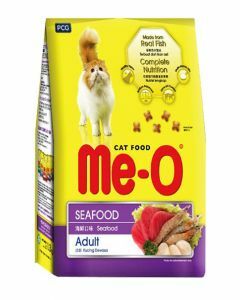 kitten or adult. 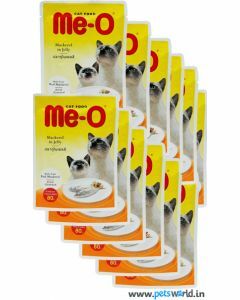 They also make sure that the food they make meets the nutritional levels required by different breeds and ages of cats. 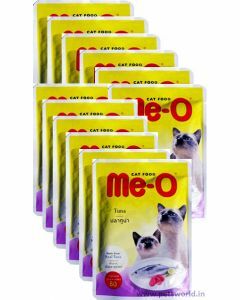 The ingredients in Me-O products make sure that the optimum health of your cat is maintained, as they contain taurine, proteins, calcium, phosphorus, Vitamin C, Vitamin D, sodium, zinc, fatty acids, and several other important components. 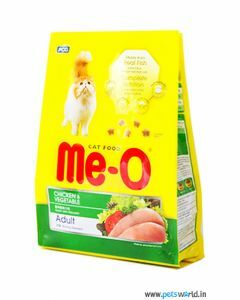 Additionally, your cat is going to enjoy and love the taste of these fantastic treats which act as complete meals for your pet. 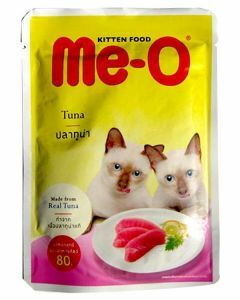 These meals also help in maintaining and nourishing the skin and coat of the cats and also help in reducing hairball problems. 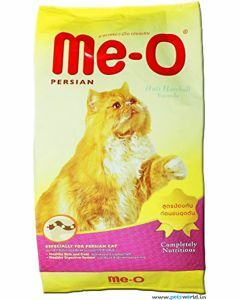 Pets World offers you a huge range of products from this international brand. 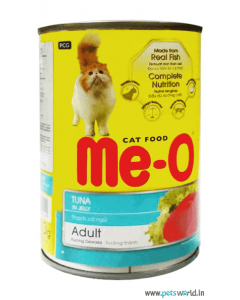 On our website, you can find cat food in various flavors and varieties like mackerel, tuna, seafood, ocean fish, jelly gravy, salmon, chicken, chicken and vegetables, chicken and rice, tuna with chicken in jelly gravy, sardine in jelly, and many many more. 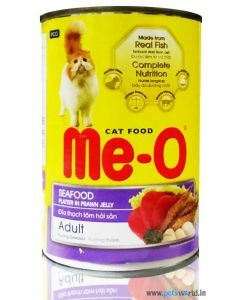 We stock such varied products from this brand to provide you with an amazing experience of selecting the best food for your beloved pet cats. 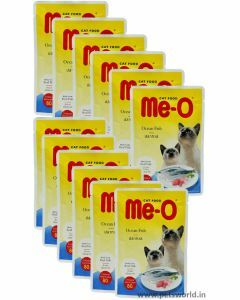 We also make sure that a complete description of these products along with all the essential details is provided so that you make an informed and happy decision.